Published customer image: . Hamster anti Mouse CD11c antibody, clone N418 used for the detection of CD11c expressing cells in mouse spleen by immunofluorescence. Image caption: . Mannose receptor positive and negative APC subsets identified by immunofluorescence microscopy. 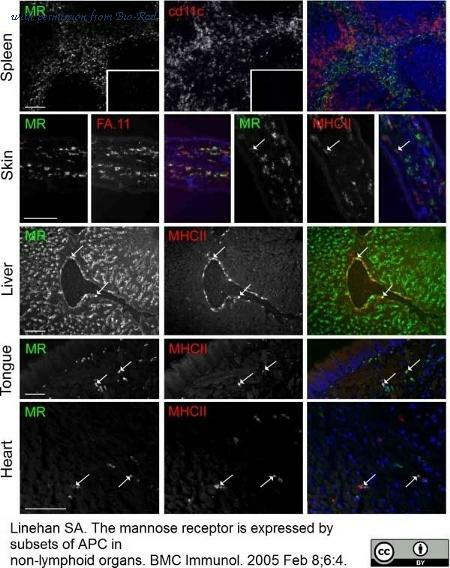 Tissues were examined by immunofluorescence microscopy for MR expression and other APC phenotypic markers in dual-labeled specimens as indicated. MR was detected using MR6F3A488 mAb. Images of each antigen labelling are shown separately in gray-scale, and merged in colour, in some cases with nuclear counterstaining shown in blue. Colocalisation of red and green is indicated by yellow. Examples of MHC class II-positive APC which coexppress MR are indicated with arrows. These constitute a subset of APC in the skin, liver, tongue and heart. No background was detected with an irrelevant IgG2aA488 negative control (shown in the spleen inset of MR-labeling only). Background labeling due to secondary Abs alone was also not detected in control sections (shown for anti-hamster IgG in the spleen inset of CD11c labeling only). Scale bars are indicated in MR-labeled panels only, and are 100um. From: Linehan SA. The mannose receptor is expressed by subsets of APC in non-lymphoid organs. BMC Immunol. 2005 Feb 8;6:4 . 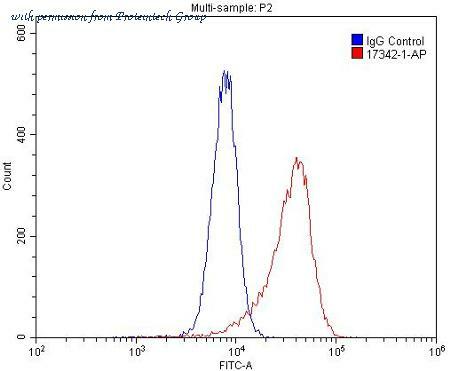 The CD11c/Integrin alpha X antibody from Proteintech is a rabbit polyclonal antibody to a recombinant protein of human CD11c/Integrin alpha X. This antibody recognizes human,mouse,rat antigen. The CD11c/Integrin alpha X antibody has been validated for the following applications: ELISA, WB, FC, IHC analysis. The CD11c/Integrin alpha X antibody from Proteintech is a mouse monoclonal antibody to a fusion protein of human CD11c/Integrin alpha X. This antibody recognizes human,mouse antigen. The CD11c/Integrin alpha X antibody has been validated for the following applications: ELISA, IHC, WB analysis. 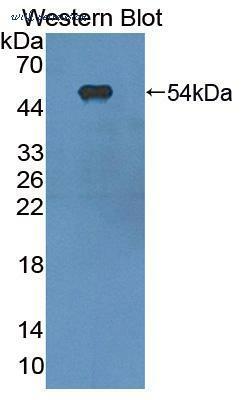 Detection of Mouse CD11c by Western Blot. Western blot shows lysates of mouse lymph node tissue. PVDF membrane was probed with 2 ╡g/mL of Rat Anti-Mouse CD11c Monoclonal Antibody (Catalog # MAB6950) followed by HRP-conjugated Anti-Rat IgG Secondary Antibody (Catalog # HAF005 ). A specific band was detected for CD11c at approximately 170 kDa (as indicated). This experiment was conducted under reducing conditions and using Immunoblot Buffer Group 1 . Detection of CD11c in Mouse Splenocytes by Flow Cytometry. 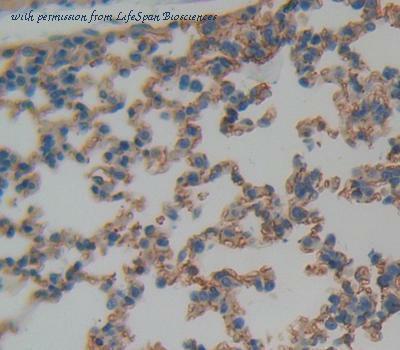 Mouse splenocytes were stained with Hamster Anti-Mouse CD11c Monoclonal Antibody (Catalog # MAB69501) followed by Phycoerythrin-conjugated Anti-Hamster IgG Secondary Antibody (Catalog # F0120 ) and Rat Anti-Mouse MHC class II (I-A/I-E) APC-conjugated Monoclonal Antibody (Catalog # FAB6118A ). 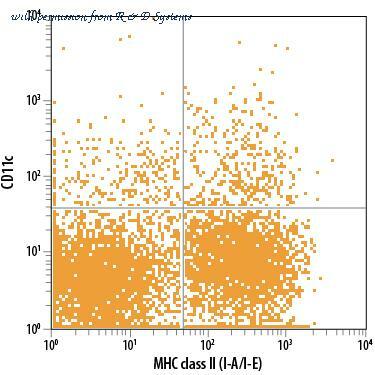 Quadrant markers were set based on normal hamster IgG control antibody staining. Western blot of ITGAX / CD11c antibody. 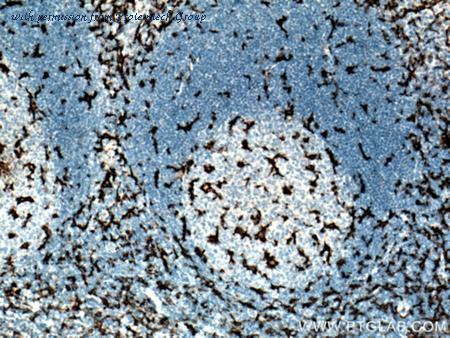 Immunohistochemistry-Paraffin: CD11c Antibody (AP-MAB0806) [NB110-97871] - Paraffin embedded mouse spleen tissue.